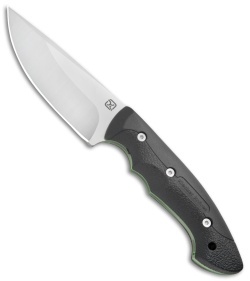 This version of the Abiqua hunter is equipped with black G-10 handle scales and a satin finished blade. 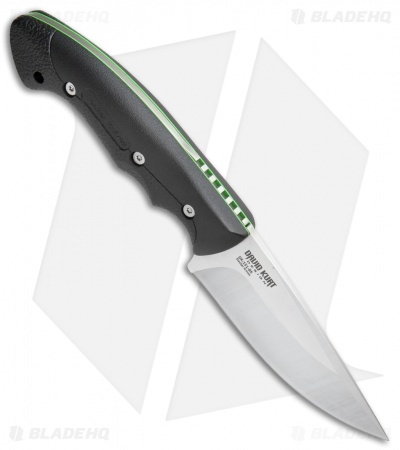 The Abiqua Hunter from Klecker Knives offers a complete hunting knife solution. This innovative design represents a collaboration between Glenn Klecker and custom knife maker David Kurt. The full tang fixed blade features two-tone G-10 handle scales with a removable gut-hook insert. Simply pull back on the jimping to slide out the stainless steel gut-hook/bottle-opener. 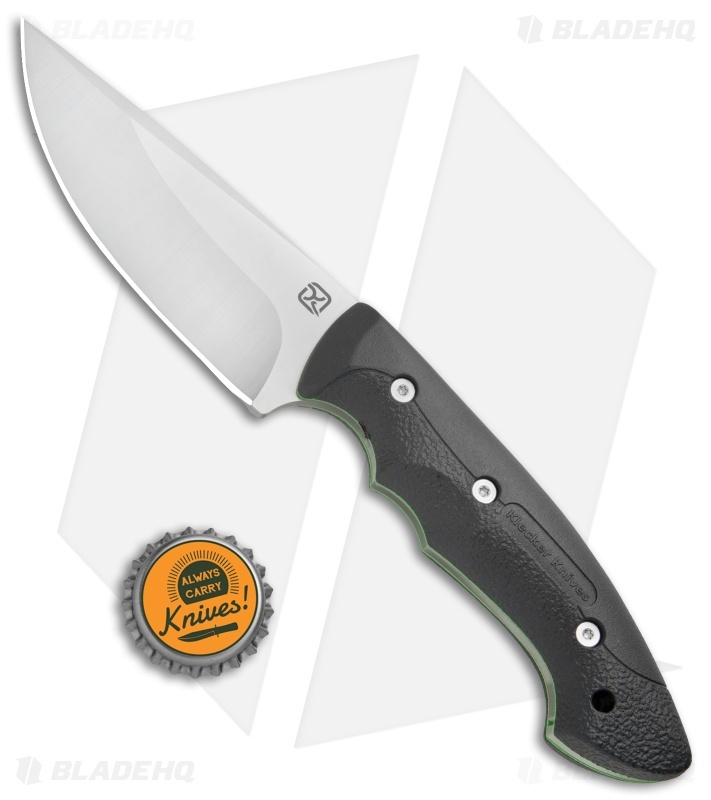 The Abiqua Hunter is the perfect daily companion for hunters, bushcrafters and outdoorsmen. Drop point profile with a flat grind for skinning and field work. Thumb jimping for grip and gut-hook removal. Removable gut-hook that securely locks in place until ready to use. Two-tone G-10 scales for a handsome fit and finish. 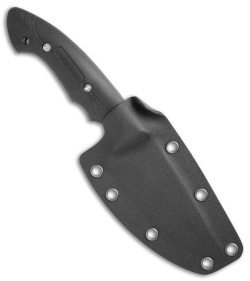 Includes lanyard hole and a kydex sheath for easy EDC.